But regulator approval could hold things up. 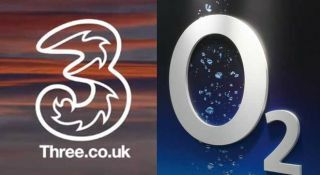 A UK super-network comprising Three and O2 now looks certain to happen, with Hutchison Whampoa in agreeing a £10 billion fee for Telefonica's UK network and only regulator approval now needed for the deal to go through. Exclusive talks have been ongoing between the two since January and the fee has now been agreed at the expected level. With BT buying EE, the UK is looking at three 'super-networks' and a handful of virtual networks from the supermarkets and key media giants like Virgin and Sky, which use the bigger networks' infrastructure. A "definitive agreement" had been found between the two companies, and the joined up network will become Britain's biggest should it get its approval with a whopping 49% of the UK market. That could take as long as a year, so don't expect to see your network change on your phone just yet if you are a customer of either company.